Calvin Trillin once wrote a mirthful article in The New Yorker magazine (http://www.newyorker.com/archive/2002/08/19/020819fa_fact) about the difficulty of guessing blindly whether a wine is red or white. Shouldn’t it be easy? I’d like to think so, but some of the results he reported indicated otherwise. 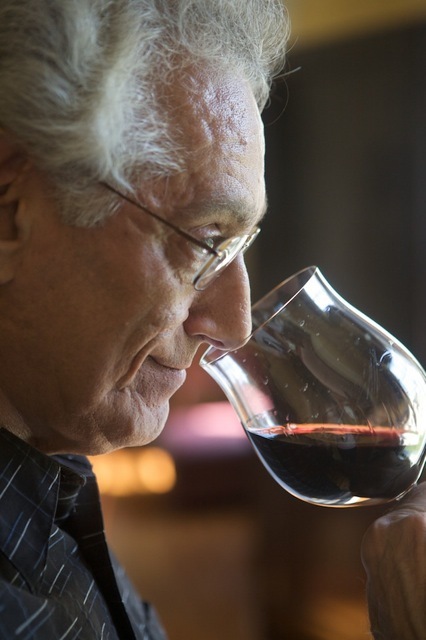 He wrote: “I first heard about the color test given at the University of California Davis, whose department of viticulture and oenology is renowned in the wine world. […] The folks at Davis poured wine that was at room temperature into black glasses, thus removing the temperature and color cues that are a large part of what people assume is taste.” Trillin went on to say that well-known, respected winemakers who have taken the dreaded test got scores such as three of five or three of seven. In my blissful ignorance and shameless hubris, I decided to meet the challenge right between the glasses. I tried eight wines: three whites, four reds, and one rosé. I didn’t choose a Gewurtztraminer or a zinfandel; both should be easily identifiable by their distinctive, telltale bouquets. I attempted to guess not only red from white, but also which of the eight wines I had just tried. I included wines from three countries, figuring that would make it more difficult. (It did.) I had never tasted six of the wines I had chosen, so I couldn’t identify a style. I thought the rose, served at room temperature, would be a problem. I included a wine that was syrah-based from Australia, and one from California. Could I tell them apart? How would a warm chardonnay stack up against a similar sauvignon blanc? Not so easily as it turned out. Since I don’t own black glasses, I was literally blindfolded and led into the room after my wife poured the wines. I used coffee mugs rather than wine stems. This took away from appreciating the bouquet properly, but they were all in mugs so each suffered an equal disadvantage. I took my notes via a tape recorder, and here they are. 2001 Ca’ del Solo Big House Red: Red. Big, rustic fruit bouquet with a definite blended feeling. Deep, warm and rambunctious. Red and good. Recommended. Ca’ del Solo. 2000 Cline Cellars Oakley Vin Gris: Fragrant, sweet fruit. The briskness of a white. Delicious blended flavors. Thought it was a white but the deeper fruit profile and process of elimination made my decision the Cline rosé. 2000 Quivira Sauvignon Blanc, Fig Tree Vineyard: White. Ripe fruit, pears and a lemony bouquet with good oak background. Drinks smoothly with a melony quality and refreshing, balanced finish. After comparisons with the chardonnay and pinot grigio, I finally guessed Yering chardonnay. 2001 Ecco Domani Maso Canali Pinot Grigio: White. This is a wonderful, fruit-laden white. As fresh as spring. A smooth drink with a hint of lemon-lime on the finish. I kept comparing it with the sauvignon blanc, but I decided it was the pinot grigio. 2000 Wolf Blass Red Label Shiraz Cabernet: Red. Warm, chocolatey bouquet with melted oak under ripe, extravagant fruit. Drinks very well, with leathery, smoky flavors and extroverted fruit. It didn’t taste like a blend, but like pure shiraz. I toyed with the Ca’ del Solo red and even the merlot. On the second try, I was sure it was the Wolf Blass. 20001 Ca’ del Solo White: The most fragrant and fruity example of the day, it should have been easy. But was it the Ca’ white or the rosé? On second taste, musky fruit and the tropical qualities came through. I guessed the Ca’ del Solo white. 1999 Lockwood Merlot, Monterey County: Red. Direct, dark bouquet. A refined wine that has a slight herbal overtone that adds character. Plum and cherry flavors with a spicy finish. I toyed with the shiraz before naming it merlot. 2000 Yering Station Chardonnay, Victoria: Rich, rounded bouquet with a nutty and polite oak background. An expansive drink, full of intensity, warmth, and a minerally finish. For a moment, I thought this could be a red. Because of its purity and un-oaky quality, I somehow guessed it was sauvignon blanc. How did I do? First of all, all the wines were good and recommended. I identified all the reds from the whites and even the tricky rose. According to the University of California Davis, I did great. However, the final tally was six identified correctly and two wrong. To quote Oscar Wilde, I’m not young enough to know everything. I thought the chardonnay was the sauvignon blanc. How could that be? Try it sometime with unfamiliar wines and see for yourself. Connoisseur and novice alike can have fun playing a similar party game. 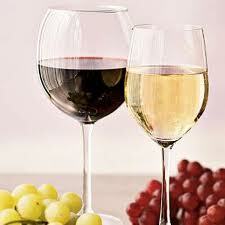 Why not choose four wines–two whites and two reds–and see how it goes. This may become the Trivial Pursuit of the millennium, or, more likely, a grownup version of pin the tail on the donkey. If you do try, please let me know the results.